WASHINGTON — Lawmakers return from their Thanksgiving break on Monday with just a few weeks left in the 115th Congress and a looming partial government shutdown threat less than 12 days away. Republicans and Democrats have until Dec. 7 to work out full-year funding plans for a host of government agencies including the State and Homeland Security Departments. But the departments of Defense and Veterans Affairs aren’t among the budgets to be worked out, muting the potential impact of a funding impasse for military families. But lawmakers do have a host of military and veterans work to complete before the end of the legislative year. 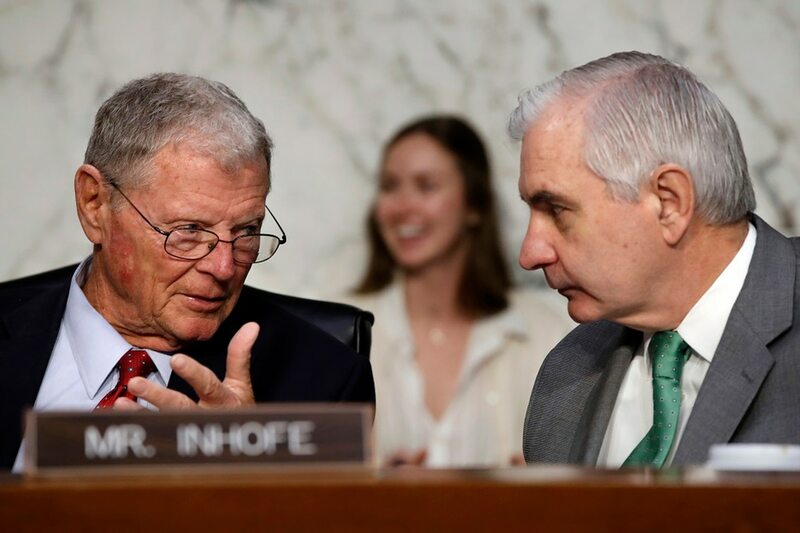 The Senate Armed Services Committee will work on a pair of pending nominations this week, while the House Veterans’ Affairs Committee will continue oversight work on implementation of a series of major initiatives passed by Congress this year. Members of the Commission on the National Defense Strategy will testify before the panel on their findings and recommendations. Navy officials will testify before the committee on current shipbuilding programs and strategy for the future. Senate Foreign Relations — 2:30 p.m. — 419 Dirksen Bldg. The committee will consider several nominations, including Ronald Vitiello to be Assistant Secretary for Immigration and Customs Enforcement. State Department officials and outside experts will testify before the committee on the fight to end modern slavery across the globe. The committee will consider a series of pending bills and nominations. The committee will consider the nominations of Thomas McCaffery to be Assistant Secretary Of Defense for Health Affairs and William Bookless to be Principal Deputy Administrator for the National Nuclear Security Administration. The committee will review recent reports on icebreaker acquisition and the National Maritime Strategy. The committee will review implementation plans for recent VA development and policy initiatives. State Department officials will testify before the committee on U.S. policy towards Syria.